June 21, 2013. Thanks to everyone who took the time to respond to our commenting policy review. Most responses were along the lines of "don't fix what ain't broken." Although others made some interesting suggestions of subtle change. The good news for all those who enjoy commentating, and reading comments, on interest.co.nz is that we don't plan much change. And really, so long as robust, but civil debate reigns, we'll see no need to make substantial changes. We would like to note, however, that excessively long posts can be annoying. That said, we're not prepared at this point to set a limit as, from time to time, very long albeit intriguing comments do appear. But please try to only write what's really necessary. Secondly, some commenters do tend to post dozens of comments in any given day, and sometimes reach double figures on a single story. Whilst we admire their enthusiasm, sometimes this is overkill. So please keep this in mind. We'd again like to reiterate that abusing fellow commenters, the authors of articles published on interest.co.nz, or people interviewed and quoted in our stories, won't be tolerated. Play the ball and not the man or woman please. Swearing is another thing we don't welcome. We also reserve the right to remove comments we view to be of little relevance. We encourage people to make comments that are on topic, or related to the story they're posted on. Both 90 seconds at 9 am and Top 10 do, however, both offer a more general forum for broader discussion and debate. We also reserve the right to sin bin, or temporarily ban, commenters as a warning. This is not new as we have done this previously. This is designed to give the commenter a strong warning to pull their head in, or face the ultimate sanction of a permanent ban. All that said, what we do want is good, robust discussion and debate. We welcome examples and experiences from readers that are on topic. We like valuable links, but not numerous ones with little relevance, or endless ones promoting commenters' hobby horses. We welcome your comments below. If you are not already registered, please register to comment in the box on the right or click on the "'Register" link at the bottom of the comments. Remember we welcome robust, respectful and insightful debate. We don't welcome abusive or defamatory comments and will de-register those repeatedly making such comments. This means we want comments that add examples or experiences that are on-topic. We want to hear of errors we need to correct. We want valuable links, data and research. We welcome respectful debate, even robust debate of the issues. We want our comments to supply insight to the issues in the story. But we do not want off topic and unrelated comment. We certainly don't want obscene, profane comment or swearing, nor taunting or abusive posts. Clearly defaming or libellous comments are verboten. 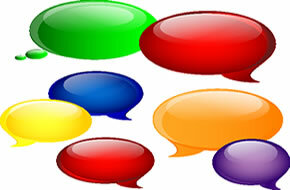 We will remove comments we believe may be defamatory or libellous. And comments that are excessive, obsessive, long winded, or clearly low-quality are unwanted as well. We are providing a post-moderated environment which depends on readers using common sense and maintaining a civil conversation. Those who can't maintain these basic standards on this website will have to do their commenting elsewhere. That said, please keep the good stuff coming. Update: We have added tighter standards around discussing immigration matters. You can read this extension here. It is a shame poor old Walter Kunst ended up in that permanent sin bin in the sky, I miss his community values around here. I agree. Is there any way that we can have Walter back? If you are God (or Ben Bernanke?) then no problem, otherwise it might be a bit tricky. You must have missed my post but sadly Walter is no longer with us Rudderless, we lost him in early March. His lovely wife would probably still be happy to hear from you though. http://www.goldart.co.nz/ He was sin binned once or twice, but sadly this one is permanent. This community is a little piece of magic. Thanks for recoginising that. A fascinating place to hang out. Good to contribute and good to learn from others. Playing the argument (and not the person) is always to be encouraged. Thanks for providing the service. Much appreciated!